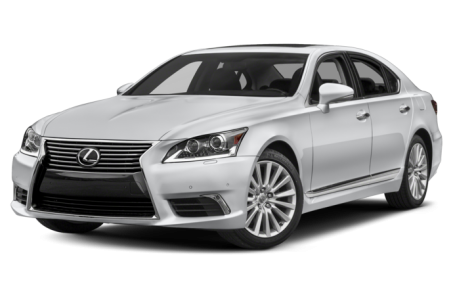 Sorry... the 2017 Lexus LS 460 is no longer being sold as new. Lexus' flagship LS 460 full-size sedan is available in standard form and as a limousinelike long-wheelbase LS 460 L model that stretches 205 inches from bumper to bumper — 5 inches more than the standard model. The LS can seat up to five people and both sizes are available with rear- or all-wheel drive. Competitors include the BMW 7 Series and Mercedes-Benz S-Class. A hybrid version of the LS 460 L sedan, dubbed LS 600h L, will be covered separately. A new Luxury Edition and an updated F Sport model are available. The Luxury Edition features a dark-brown interior, wood trim, a black simulated-suede headliner, 19-inch wheels and a metallic grille. The F Sport has a black-and-tan interior, wood trim, a striped headliner, dark-gray 19-inch wheels and a piano-black grille.